Anyone hoping that Joss Whedon’s Avengers: Age Of Ultron would rely on human actors to threaten the heroes instead of another army of CG baddies can take a seat in the corner and be quiet. 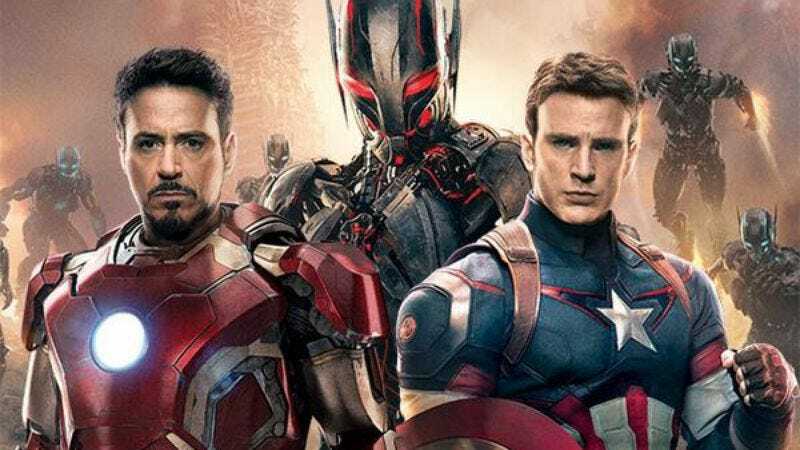 During a recent speech at the Visual Effects Society, Victoria Alonso, Marvel Studios executive VP of visual effects, said that the Avengers sequel will feature more than 3,000 VFX shots, far exceeding any Marvel movie to date. That’s 500 more than there were in Captain America: The Winter Soldier (which used a decent amount of in-camera stunts) and 250 more than in Guardians Of The Galaxy, where at least three characters were completely CG, as well as a slew of environments and establishing shots. Alonso also noted that Age Of Ultron will require the services of seven to 12 different VFX vendors. Basically, you’ll see a lot of fake stuff in Age Of Ultron, which could have been avoided if Mark Ruffalo would have hit the gym and painted himself green like we ask every time. During her speech, Alonso also said that she’d like to see a female-led superhero film from the studio, which doesn’t seem to be coming any time soon. Age Of Ultron will introduce Scarlet Witch and probably prove once again that Black Widow is one of the most interesting team members. Surely one of them could have their own franchise. And once Marvel is ready to commit to a female star, Alonso will be waiting with an army of VFX artists to paint the monsters that terrorize her.